This powerful self defense device includes a hip holster that allows you to carry it on your side. 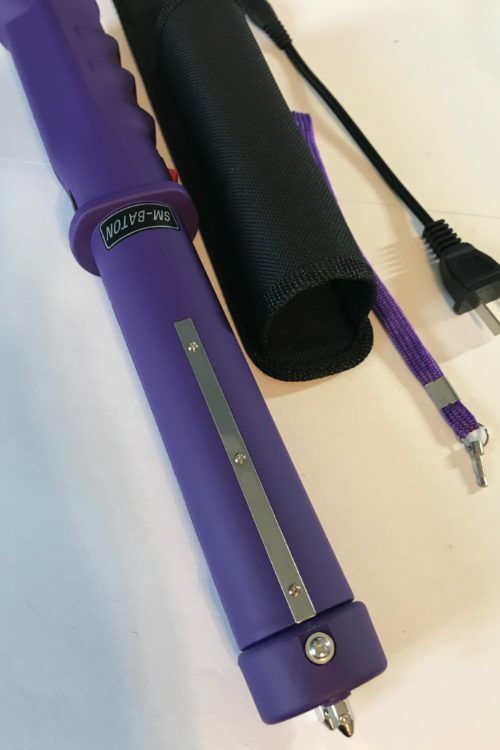 It measures 12″ x 1 1/2″ and includes wrist strap disable pin, wall charger, and nylon holster. 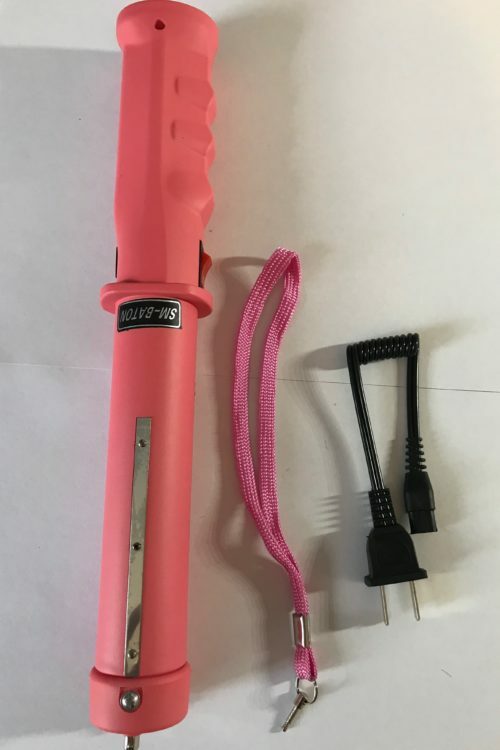 Great security baton for security guards. Use for camping, hunting, and even at your bed stand for safety during the night. 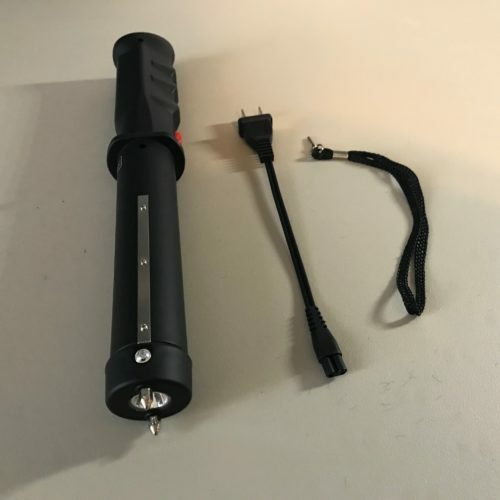 This 12 Million Volt, 4.6 mAh self defense weapon is rechargeable and has a super bright, 3 function flashlight with 3 modes: a high beam, low beam, and strobe. 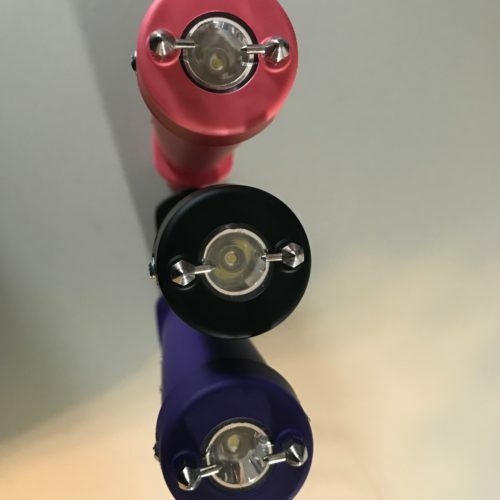 The flashlight can light up your way as you make your rounds and the strobe function can temporarily blind and disorient someone. 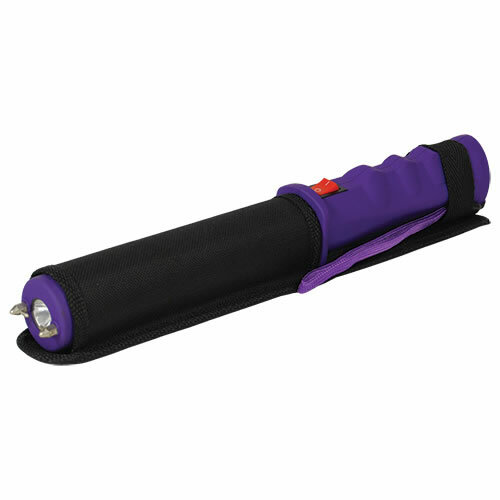 The STUNNING BATON has been a favorite among security guards because of its power and extended reach. 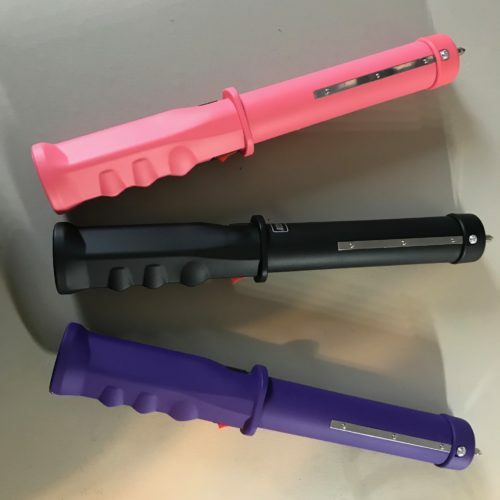 The stun baton will also deliver a shock when touched six inches from the tip due to the metal plates running down the sides. This prevents an assailant from grabbing it and taking it away. Rubber handle. 12″ in length. This powerful self defense device includes a hip holster that allows you to carry it on your side. It measures 12″ x 1 1/2″ and includes wrist strap disable pin, wall charger, and nylon holster.